Take back the control of your videos! 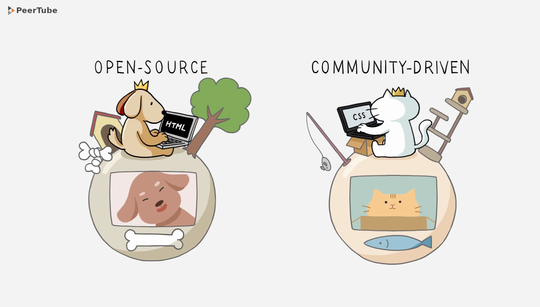 Help us acheive a decentralized video hosting network, based on free/libre software. Your donation will then be used to support all the association's projects - and there are many of them! - including PeerTube. PeerTube is a practical answer to all video-tubes that centralize our data and attention. With it, videos can be hosted by the people, with the people, for the people. ○ Peer-to-peer streaming, to make streaming resilient and fast when a video goes viral. In November 2017, we raised donations from our French-speaking audience to help us finance PeerTube development and test PeerTube on a large scale. Last march, we released PeerTube in public beta! Medias, collectives, video-makers and even cities... people already made more than a hundred PeerTube instances hosting more than 7500 videos! 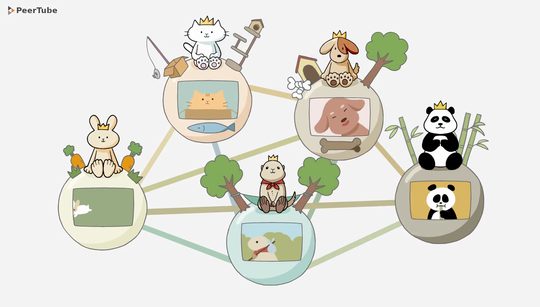 You can go and see by yourself the JoinPeertube website, a list of all the existing instances, the software source code... and even watch some videos on Framatube, our PeerTube instance! 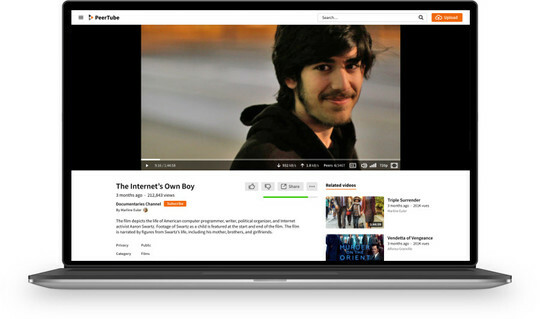 Now, PeerTube both needs to come out of its French-speaking shell and lacks key features to become a practical alternative to data-centralizing video platforms. This is where you come in. ○ Centralize our data and attention. Their advertisement-based economic model can only be fed by our privacy. ○ Imply huge technical infrastructures. 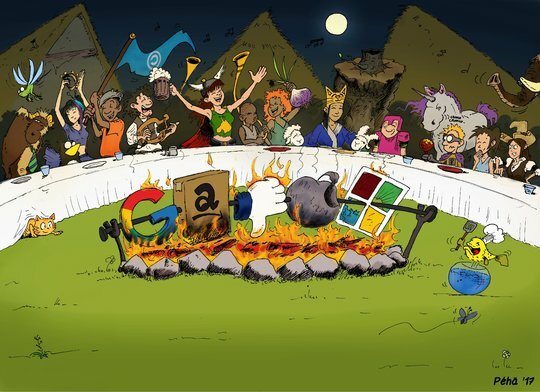 Their centralized video-hosting model can only be sustained by big companies. That's how they get to impose us their terms and conditions. PeerTube is already (and legally) all yours! We are not making our video-platform: we are creating a tool for anyone to make their own! The Free-Libre software licence attached to PeerTube is a legally-biding open contract. It allows anyone to use, study, adapt and contribute to PeerTube. PeerTube gives you (or your community) the opportunity to host your own video-tube. You can emancipate yourself from data-centralizing and attention-craving platforms, without becoming another isolated video-website lost on the web. 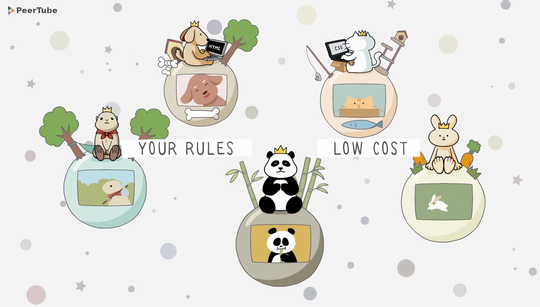 If you host, you rule: PeerTube Instances hosters can choose their own terms and conditions, moderation management, federations settings (what other PeerTube instances you choose to follow), etc. But remember: with great power comes great responsibilities! If we have proven that PeerTube works fine, it still needs to grow into its full potential. ○ Software stability (bug fixes) and scalability. Moreover, you can help us get this alternative known all over the world by sharing this page and inviting people to #JoinPeertube! 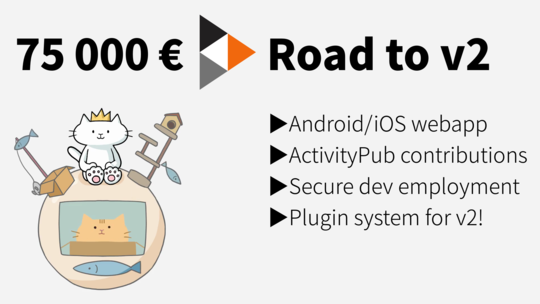 75 000 € stretch goal: let's pave the road to v2! ○ Pave the road to V2, where our priority will be a plugin system to facilitate the development of personnalized features and displays. We don't aim to make a profit out of PeerTube: we just want a sensible and practical YouTube alternative to come true, and be available for anyone. ○ 10 % on banking and crowdfunding fees. Framasoft is a small French non profit of 35 members, including 8 employees. We define ourselves as "a bunch of friends who want to change the world, one byte at a time." Since 2004, we have been promoting Free-Libre software and its culture through practical and useful projects: Free-Libre Software directory and USB keys, a blog and a publishing house, etc. Between 2014-2017 we raised awareness on data-centralization by big data companies with our De-google-ify the Internet campaign. We showed that Free-Libre software-based services are an ethical alternative by hosting (and contributing to) 32 alternative solutions to services like Twitter, Skype, WeTransfer, Facebook, GoogleDocs and even Minecraft! 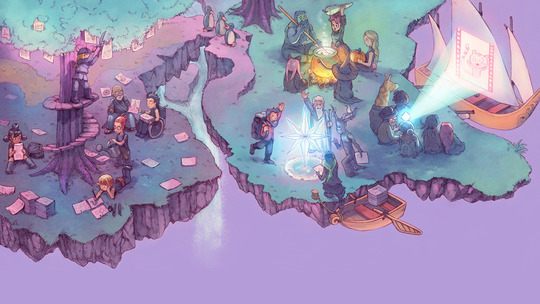 From 2017 to 2020, our roadmap is called Contributopia, and we aim to create alternatives thought "out of big data's box", facilitate the hosting and spreading of ethical web services, and help the digital lives of anyone who wants a contributors' society. We are financed at 95% through individual donations (the 5% left being T-shirt and book sales).